We sincerely hope that everyone enjoyed the Thanksgiving holiday and stuffed themselves silly with all kinds of turkey goodness. Those visiting our mountainous region were greeted this morning with a slight blanket of snow. 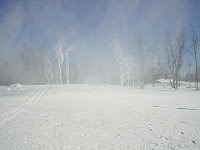 The perfect opportunity for Wisp to start cranking out the fluffy white stuff. Megan, my beloved pal and fellow Reservationist, is an avid snowboarder and she was reacting like a typical kid in a candy store all day. The more snow that fell, the more psyched she became. A very entertaining sight for those of us that are somewhat “snow challenged”, such as myself. We don’t always get as excited about the coldness as the “outdoor enthusiasts” do, but I must admit, it was refreshing to see. On this note, if you are planning on visiting us in the next few months, don’t forget to call our office and get the inside scoop on pre-purchasing your lift tickets when staying with Taylor-Made. Not only are they discounted but we will have them ready and waiting for you when you arrive at your home. Truly a win- win for you!If you are visiting our area this upcoming weekend, you should check out “Christmas In The Village” located at the Spruce Forest Artisan Village in Grantsville, MD ( a mere 35 minute drive from McHenry). Guests will enjoy strolling the candle lit colonial village as they shop for homemade holiday gifts and enjoy complimentary refreshments. Storytelling and musical programs will also be present to add to the true holiday ambience. I also heard from an “inside source” that Santa will be making a special appearance in Oakland, this weekend. Located a close 15 minutes from Deep Creek, Oakland is your typical charming small town. Beautifully decorated with a large lighted tree, exquisite decor, and giving off a very “merry” vibe, this town is our county seat and something that our locals are very proud of. Call our office for more details on Santa’s sighting. 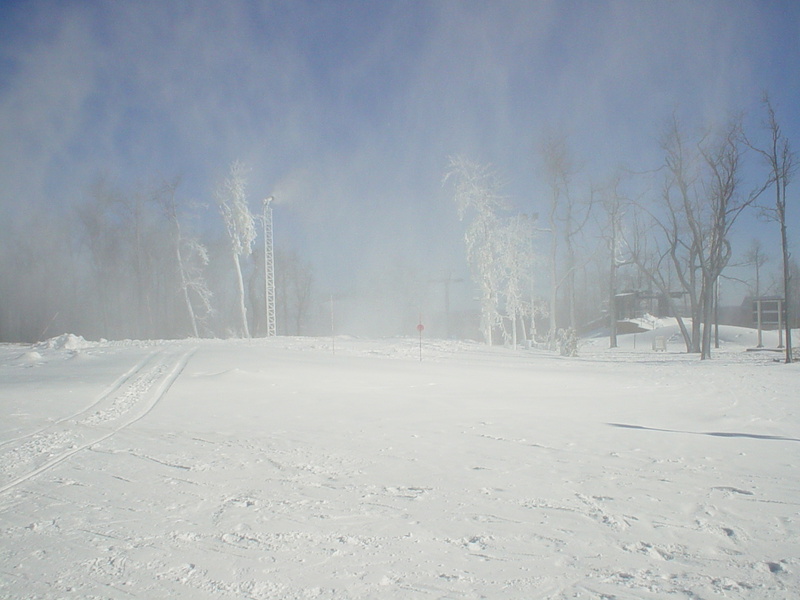 Until then, life on the mountain rolls on and we cant’ wait to see you at the Lake! Taylor-Made Deep Creek Vacations would like to shout out a very happy and healthy birthday wish to their beloved employee, Wendy Cardiff! Not only does she take care of our accounting but we love her spew of random yet incredibly insightful input on obscure trivia! Even as her “office space” temporarily diminishes, she still manages to bring a smile to all of those around her. Happy Birthday Wendy! We love ya!